Bumble is all about creating a safe, fun and friendly environment to make connections. To help launch their game-changing, fake profile-eliminating Photo Verification feature we created Great Catch. 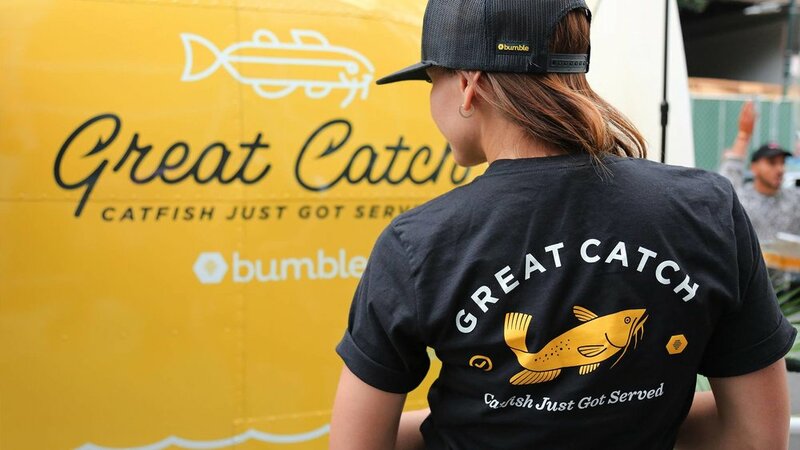 To celebrate the end of the bottomfeeders, we created a custom food trailer called the Great Catch to serve up actual catfish, just like photo verification does. 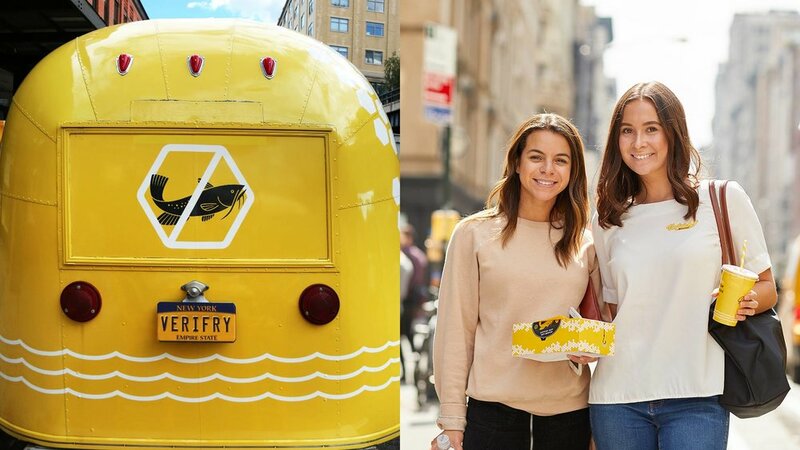 The Great Catch, along with celeb chef Sam Talbot, took to the streets of New York during fashion week passing out free catfish to anyone who had the app or downloaded it.